Rolling over is the topic today, as it appears the South Florida housing market may finally be cooling off. 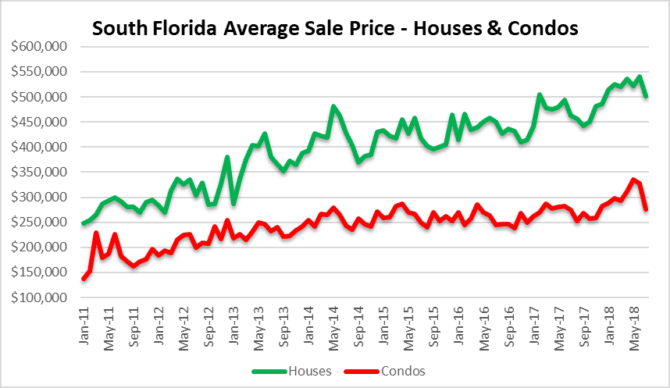 During the month of July we saw prices of houses and condos in the Miami, Fort Lauderdale and Palm beach markets decline. 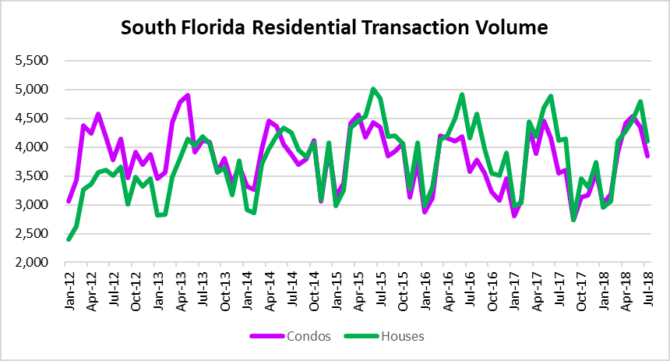 Our first chart today shows the residential transaction volume across the tri-county area. The total transaction volume declined from 9,141 deals in June to 7.943 in July, representing a 13% drop. Residential real estate prices dropped in the month of July as well. The average condo sale price declined 16% from $327,173 in June to $275,185 in July. As for single-family homes, the average sale price declined 7% from $540,314 in June to $501,023 in July. One month certainly does not make a trend, but if the transaction volume continues to drop, prices will follow. So this is the recovery folks! 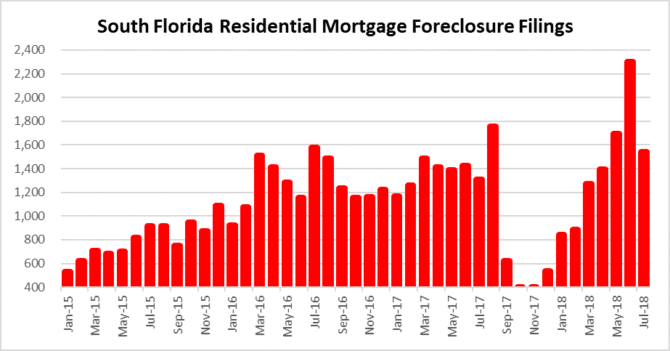 After a huge month of new residential foreclosure filings during the month of June, the numbers dropped slightly in July, but still remain above average and the highest we have seen in years. It appears that there are a number of real estate markets that are wrestling with the same problem. Borrowing costs still remain very low by historical standards. 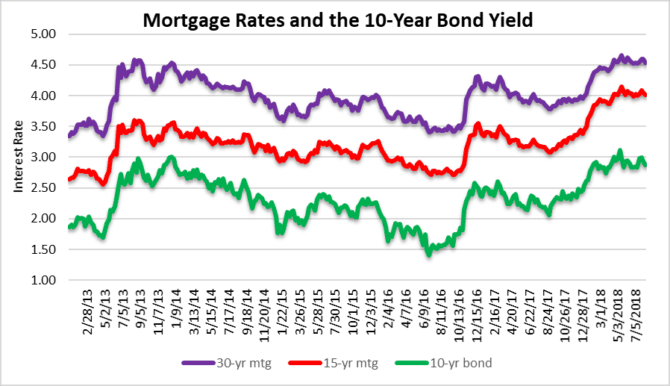 If the residential real estate market is facing headwinds from mortgage rates at these levels, we are in trouble. This entry was posted in Fort Lauderdale real estate, Market Insight, Miami real estate, Palm Beach real estate, South Florida Real Estate and tagged Fort Lauderdale real estate, housing bubble, Miami real estate, Palm Beach real estate. Bookmark the permalink. Both comments and trackbacks are currently closed.